ANZAC Day 2018 | Murchison and District Historical Society Inc.
Each year hundreds of Murchison families gather at the dawn service on ANZAC Day to remember those that fought in wars for our freedom. It is always a moving service, starting in the dark before dawn and continuing as the sun rises to reveal our garden surroundings in the early morning light. 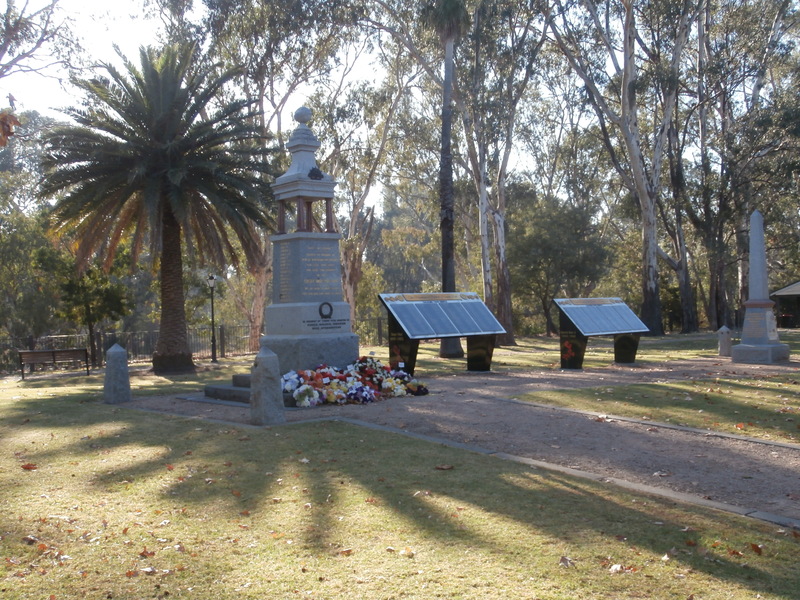 The war memorials in Murchison Riverbank Gardens and the floral tributes placed on the monument during the service.